The CH711 display has a sharp 1,800R curve. 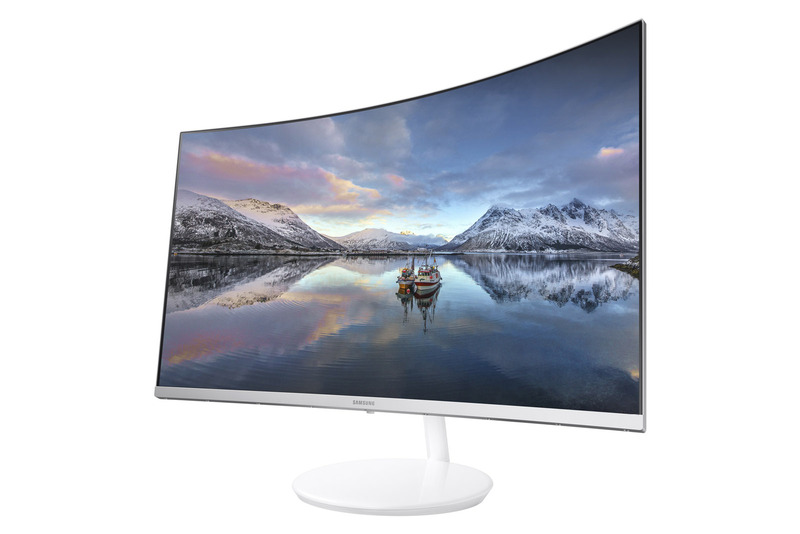 Samsung has revealed the CH711, a curved quantum dot monitor built "with gamers in mind." It also appears to be targeting Mac users and designers with the model, judging by the sharp-looking white color scheme and marketing shots (above). The displays, in 27- and 31.5-inch sizes, feature 2,560 x 1,440 resolution, a pronounced 1,800R curvature, 178-degree viewing angle and 125 percent of sRGB coverage. Cables are hidden in the stand, which also lets you flip the monitor to a vertical position, though the heavy curve might make that format a bit awkward. Samsung has used quantum dots, rather than OLEDS, in TVs for awhile. However, it has only recently used the tech in its monitors, having unveiled a pair of new models at IFA 2016 in September. Most display experts think that OLED (favored by LG) picture quality is superior to quantum dots (used by Samsung) because of the impeccable blacks and lack of light bleed. However, quantum dot displays don't suffer from OLED's lag issues and are an improvement over regular LEDs, making them a better choice for gaming monitors. A curved screen also makes a lot more sense for a monitor than a TV, given how much closer you generally sit to it. And Samsung has previously said that a sharp 1,800R radius "closely follows the curvature of the eyes." While it said colors are "richer and more vibrant" thanks to the quantum dots, it didn't give any other color specs, such as whether it's an 8-bit or 10-bit panel -- a detail that would be important for graphics pros. We also don't know the crucial price or availability, but Samsung will show off the screens at CES 2017, along with the GFG70 and CF791, the other curved quantum dot screens it recently unveiled.